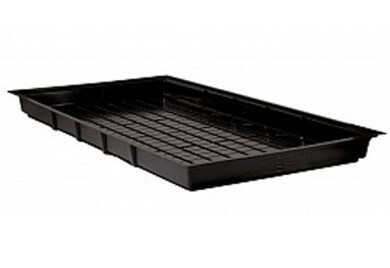 This extra large garden flood table is big enough to hold an aquaponic garden for a family. No more chemicals, No more weeds or bending over. This table can fit into a 8×4 tray table, custom made frame or stand alone. It has a superior grid pattern design and multi-level drainage channels to promote fast and thorough drainage. Multi drain positions for versatility in set-ups. Aquaponics / Aquaponic Supplies / Aquaponic Flood Tables – serving Los Angeles for 25 years! Sign-up now for Insider Deals and Discounts!